It turns out that the country isn't quite as tired of seeing Tom Brady and the New England Patriots in the Super Bowl as we may have thought. Despite plummeting ticket prices and a third straight Super Bowl appearance by Brady and the Patriots, Super Bowl LIII is already pushing new records for the average commercial cost in this year's big game. CBS is reportedly seeking between $5.1 and $5.3 million for digital advertising assets in Super Bowl LIII that include a standard 30-second commercial slot. 1.38 Billion: Chicken wings will be eaten during the Super Bowl weekend. It's no surprise that the most-watched football event of the year carries a significant price tag for interested advertisers, but north of $5 million to secure a 30-second slot is quite a purchase. The big game between the New England Patriots and Los Angeles Rams is also pushing a record for the most-bet-on Super Bowl of all time, with a projected total of more than $300 million to be wagered on the game by kickoff. 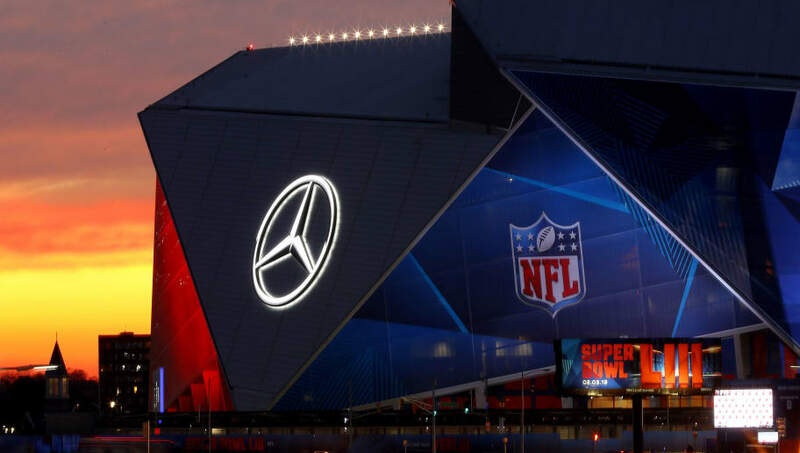 This will be the third time Atlanta has hosted a Super Bowl, and the first Super Bowl played in the new Mercedes-Benz Stadium opened in August 2017.